Community Action Norfolk are sharing this information from Norfolk County Council, please contact them directly with any queries. As advised at the Steering Group meeting on 7 December, Norfolk County Council operates three separate referral mechanisms, one of which is Home Shield. This is inefficient and has been reviewed in light of the budgetary savings required of the council. On average, less than 8 referrals per month come through the Home Shield scheme and this, combined with the administrative and IMT resources required to maintain the referral form, mean that the scheme is very costly and unviable. As an alternative, it is proposed that those partners to whom referrals are made are listed on the Norfolk Community Directory: https://www.norfolk.gov.uk/norfolk-directory (if they are not already) and those partners who make referrals can direct clients to suitable providers on the Directory (please click here for further information). 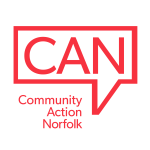 If you would like support on how to list your organisation on or how to use the Norfolk Community Directory, please contact: [email protected]. Please be aware that currently the Home Shield referral mechanism is being administered but new membership is not on offer and the referral form is not being updated with replacement organisations where others have ceased operations. For example, due to the fact a North Norfolk organisation is no longer providing a service, there is no longer provision for key safes (question 7), staying well at home during cold weather (question 14) or handy person services (question 16) for the over 65s in the north area of the county. With effect from 12 April 2019, the Home Shield referral form will be discontinued, and partners will need to have transitioned to the new arrangements by then.